- Winston Churchill speech, 1941. November, 1920, was a very different Ireland to the one of today. Two years previously, the people of the island of Ireland had voted overwhelmingly in favour of the separatist party Sinn Fein. However this desire for separation from the United Kingdom would go ignored by the British. One year previously, Irish delegates attempted to attain international recognition of Irish self-determination at the Paris Peace Conference however, due to Britain’s influence, this effort would also be ignored. Thus, the Irish Republican Army found itself with no alternative but to remove the British from Ireland through the barrel of the gun. Of the many great patriots who took up this brave fight against, as Churchill would put it, the “overwhelming might of the enemy”, one such patriot was a young UCD college student by the name of Kevin Barry. Barry was a Dubliner who spent his life there as well as in rural County Carlow. He entered Belvedere College in 1916. While in his second year there he joined the Irish Volunteers and initially was charged with delivering motivation orders. In 1919, he enrolled at University College Dublin. During the War of Independence against the British occupiers, Barry was promoted to Section Commander and took part in various raids for arms throughout the city. On the 20th of September he was due to sit his final medical exam, but he never sat it. That morning he was involved in an ambush at 11 o’clock at the junction of Church Street and North King Street on the Northside of Dublin. Barry thought the raid would be concluded with more than enough time to make his afternoon exam but Barry was captured hiding under a truck after his comrades fled the scene. At his trial, 18 year-old Kevin Barry told the court that as a soldier of the Irish Republic he regarded all of his actions as acts of war. As a republican he refused to recognise the court and did not put forward a defence. During the trial witness after witness was called to give their version of the morning’s events. Each time Barry was asked if he wanted to question the witness. Each time he replied “No”, except for once when he snapped at the President of the Court, “Don’t bother asking me that question any more, I am not interested in the proceedings.” He also showed his defiance and disdain for the court by reading a newspaper during the trial. The British reportedly tortured Barry in an attempt to find out the names of other men involved in the raid but the young man refused to tell. He was given a death sentence but it was widely believed that this sentence would be commuted, and that the British authorities would not dare to execute an 18 year-old. Appeals continued to be made on Barry’s behalf until the very last moment but on October 31st, Major-General H. H. Tudor, Inspector General of the Royal Irish Constabulary, threatened to resign if Barry was reprieved. This was the deciding factor. Barry would hang Monday morning. That evening a final rescue attempt, planned by Michael Collins himself, came to nothing. The British mobilised three companies after Prison guards had become alarmed by the large crowds of women who had gathered to pray by the main gates. 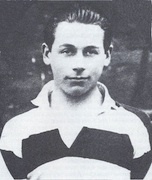 Kevin Barry was executed in the morning of November 1st, 1920. Commander of the Auxiliary Division, Brigadier-General Frank Percy Crozier, who had been required to supply Barry’s guard, was deeply moved by the young man’s bravery and commented, “In Ireland, as no hangman could be found to hang Barry, we had to bring one all the way from England, in disguise and in great secrecy. He came 300 miles across the sea, surreptitiously, to hang a rebel murderer. Or - he came 300 miles across the sea, surreptitiously, to hang a soldier of Ireland. You see, so much depends on one’s point of view.” Crozier would later resign in protest at the lawlessness of the Auxiliaries. On October 14th, 2001, the remains of Barry and 9 other volunteers from the War of Independence were given a State funeral and moved from Mountjoy prison to be re-interred at Glasnevin cemetery. I personally have great admiration and respect for the courage and sacrifice shown by Irish hero Kevin Barry. I am a free Irish citizen today thanks to the bravery of patriots like Barry - and in spite of the greed and selfish imperialist aggression shown by the British. What savages they were to murder a young man who simply sought for his nation to be free!